Nothing was wasted, I can assure this: we practically throw nothing! 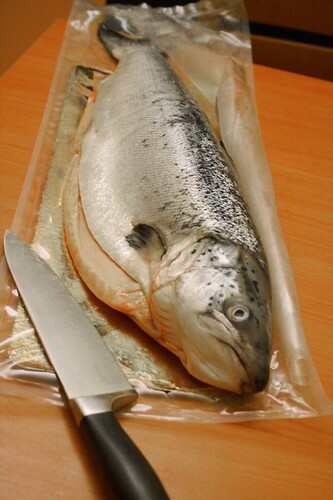 Prepare yourself for many upcoming salmon recipes! That’s one good looking fish! Look forward to seeing what you do with it. Go for it with that knife, girl!